The following covers the most commonly requested Canvas tutorials. If you would to see our more comprehensive set of tutorials, check out our FAQ. Or head over to the Canvas Instructor Guides. Click on the Files tab in the upper right (you may have to scroll down to find it). There are 3 aspects of Canvas that determine wether a student will have access to the course and the course content. You can only unpublish a course if students have yet to interact with the course and/or submit assignments. Course end dates are determined by the MSMU Registrar, you can not change the end date without chair approval. Most people are aware that if their content item isn't published, that students will not be able to access the content. This is great while you are composing, so student can't see what you are creating until it's ready. Slightly less well known is that the modules also have a publish setting. If the module is not published, regardless of if the content items in the module are published, students will not be able to access the content. It is therefore important to make sure both the Module and the content item(s) are published. The image above shows a Module and Content item that has not been published. You can tell by the grayed out cloud on the right, and the missing vertical colored bar and grayed out circle symbol icon. A published content item will always show in Purple. Since the module has not been published, students will not see any of the content in that module. Even the Module 2 Orientation will be hidden from their view. The above image demonstrates a properly published module and content items. We reccommend that you always leave the Module published - so as you don't forget to publish a module when you intended. 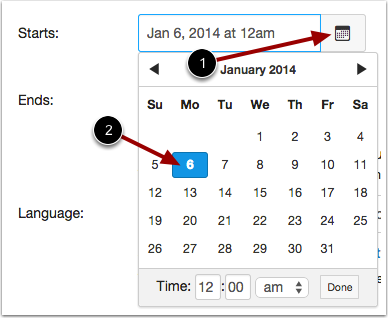 If you would like to give students access to a module after a certain date, or after they complete said tasks - view the following articles on how to set up these automatic features. The following should set you up to win in all things Attendance. The following should set you up to win in all things Gradebook.